The Democratic Republic of Congo (DRC) has some of the world’s most plentiful natural resources. It holds the world’s second-largest river, has a benign climate and fertile land. 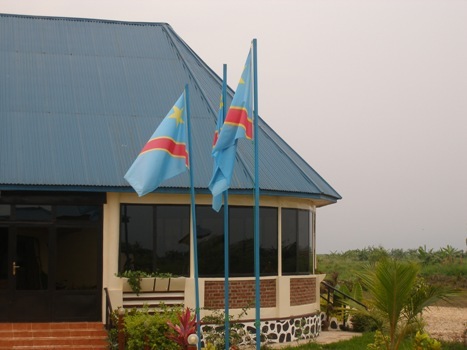 Abundant deposits of copper, gold, diamonds, cobalt, uranium, coltan and oil are just some of the minerals that should make the DRC one of the world’s richest countries. Yet, while the DRC possesses an incredible amount of resources it is still one of the poorest countries in the world today. Researcher Aramide Kazeem, explains that with the growing global technology market, the minerals used for lithium-ion batteries, such as Cobalt, has been in high demand as they are currently used to power some of the world’s most renowned electric cars, smartphones and aircrafts. Cobalt is found in even the simple everyday products such as flashlights, paints, varnishes and jewelry, including medical sterilization supplies and radiation machines. The demand of these natural resources is clearly on the rise, as of May 17, 2018 the price of cobalt from the International Market has increased to an astounding 99.8%. This number is only expected to grow as demand increases. Alain Lubamba, Member of Parliament reflected recently, “there is this contradiction that emerges each time…when the miners declare losses [in the DRC] when their mother company is only enjoying success.” A large number of reports, academic sources, and publications have also exposed such exploitation, in which nothing has been done, until recently. Recently on March, 2018 President Joseph Kabila signed into law a new mining code after a six-hour meeting with some of the world’s largest mining executives. Reports from Bloomberg, All Africa, Return, and others show that there have been a number of important fiscal changes. These changes comprise of a profit and royalties increase, containing a 10% royalty tax on “strategic substances,” and a 50% “super-profits” tax. It is believed that more can be done, yet with the new legislation, the Democratic Republic of Congo hopes to reap greater benefits from its expansive resources. Sinohydro and China Railway Construction, both based in Beijing, own 68% of the joint enterprise named Sicomines, the rest is owned by two Congolese companies (Kazeem). Gécamines is one out of the two Congolese government owned mining company, it now provides 60% of the world’s cobalt among other natural resources. Based on an analysis of mining company financial reports researchers Stefan Marysee and Claudine Tshimanga explain, “international companies in joint ventures with [state-owned] Gécamines try to pay the least possible.” They have also noted that The Carter Center report had found that $750m paid by international mining companies to Gecamines over a three-year period is missing. The manipulation of money from the DRC’s mining sector is a reoccurring offense from many countries. He explains that the shortfall is blamed on a “dysfunctional state-owned mining company and opaque national tax agencies” as well as “corrupt networks linked to President Joseph Kabila’s regime.” These investors receive the big windfall while land and communities are being uprooted and taken advantage of. For example, to evade taxes a multinational company could set up a subsidiary in the Congo that extracts copper and then sells it at a loss to a subsidiary in Switzerland. This second subsidiary would then sell it for a profit. The balance sheet of the multinational mining companies that own both these companies would look primarily the same. Yet, Radley explains these actions show that the Congolese subsidiary would record major losses –meaning it wouldn’t pay any profit taxes – while the Swiss one would enjoy a sudden advantage in profit. This is, in fact, exactly what research indicates is happening. The new code’s increased revenue tax and new super-profit tax is an important first step into measuring a more profitable economy. The solution to ending the plundering of DRC’s resources and the rest of Africa we must look at the bigger picture. We must address the issues of corruption by government negotiators, former colonial power’s ongoing influence in their former colonies resource management.